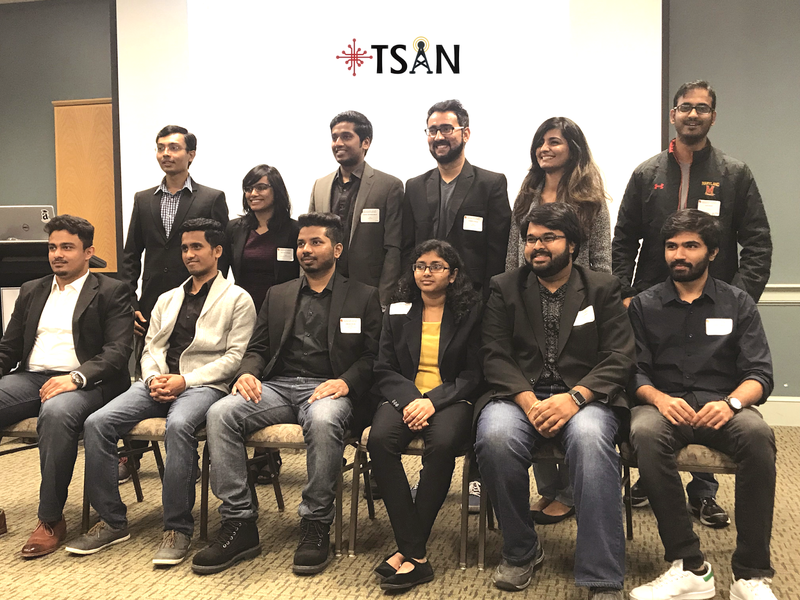 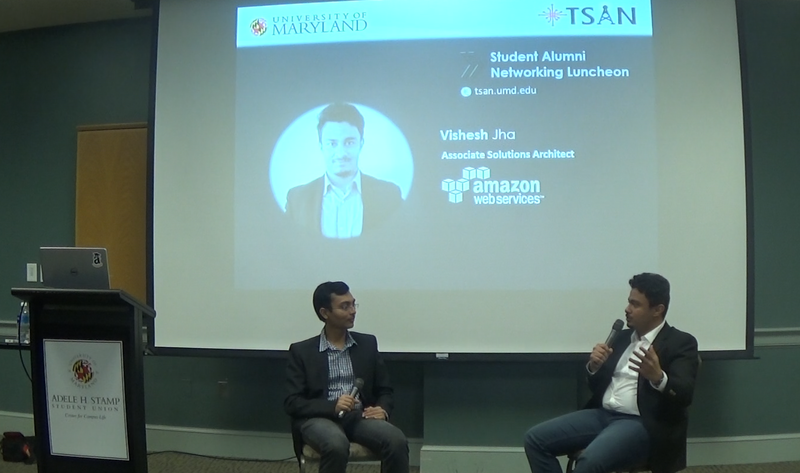 TSAN hosted alumni members of the UMD Telecommunications (ENTS) program in a series of fireside chats and keynote sessions. 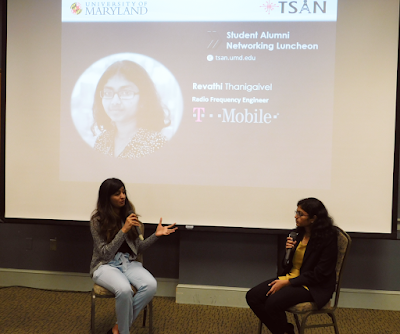 TSAN Advisor Shwetha Choudhary in a fireside chat with Revathi Thanigaivel, RF Engineer at T-Mobile, talking about the technologies she is interested about and successful job search practices. 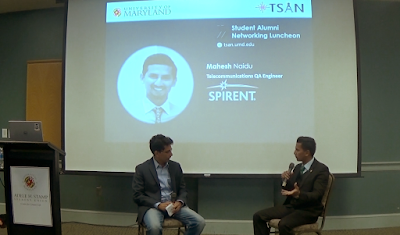 TSAN President Vishnu Chandrasenan in a fireside chat with Omkar Suram, Jr. 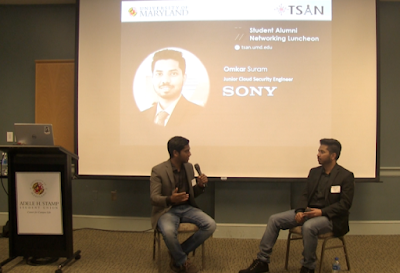 Cloud Security Engineer at Sony, talking about system security's importance in a future of ubiquitous computing at all levels, with databases, artificial intelligence, compute, storage and analytics being increasingly provisioned from the cloud as SaaS. TSAN Marketing Ambassador Eshan Mulay in a fireside chat with Mahesh Naidu, Telecommunications QA Engineer at Spirent Communications, talking about his experiences in the industry, love for sports and life after graduation. TSAN Advisor Vrajesh Prajapati in a fireside chat with Vishesh Harsh Jha, Associate Solutions Architect at Amazon Web Services, talking about how cloud computing has evolved, also highlighting the need for students to get out of the comfort zone. 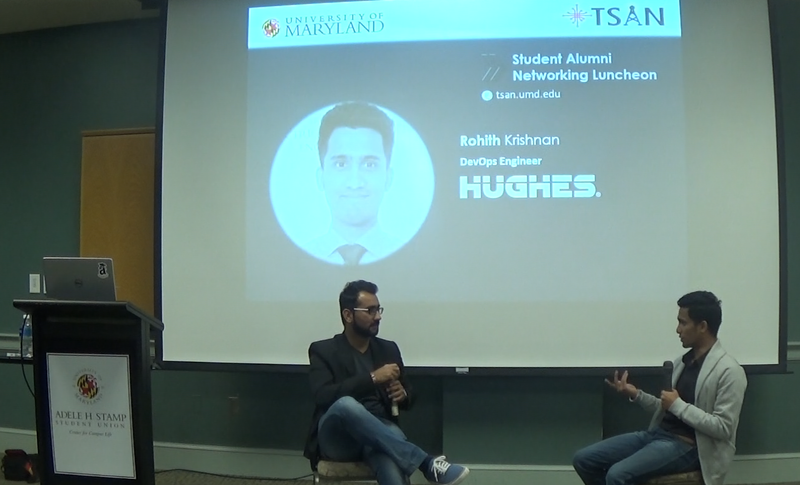 TSAN Secretary Sumeet Jeswani in a fireside chat with Rohith Krishnan, DevOps Engineer at Hughes Network Systems, talking about his time at the University of Maryland and how he transitioned into the industry, always looking for opportunities to learn. 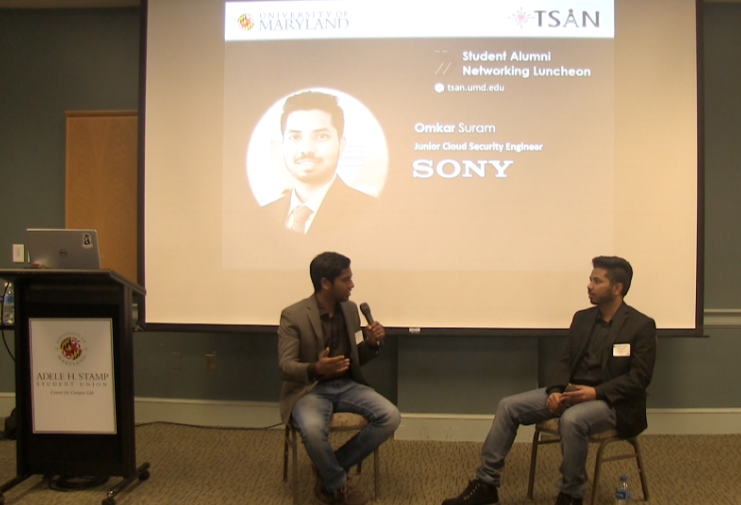 Rohith also talks about upcoming technologies like Kubernetes for containerized applications and other orchestration tools.